Meet Sadhvi Pragya, honourable Malegaon blast accused, joins BJP; who is she? Home Social Siyappa Meet Sadhvi Pragya, honourable Malegaon blast accused, joins BJP; who is she? Malegaon blast accused Sadhvi Pragya Singh Thakur joined the Bharatiya Janata Party (BJP) today (April 17, 2019). Sadhvi Pragya Singh Thakur, who is out on bail, had joined the BJP only hours before her name was announced as a candidate. 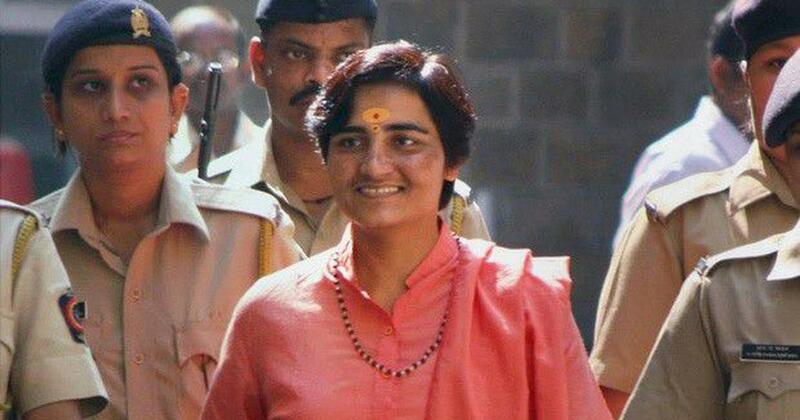 The BJP has fielded Sadhvi Pragya as Lok Sabha candidate from Bhopal. Sadhvi Pragya has been fielded against Congress veteran Digvijay Singh in the Bhopal parliamentary constituency. Sadhvi Pragya had recently said she was ready for a “Dharm Yudh”. Sadhvi Pragya has been no stranger to controversies. The sanyasini’s provocative speeches have often made headlines. Born in Bhind district of Madhya Pradesh, she had a long association with the Sangh parivar. A post-graduate in history, she worked with the Rashtriya Swayamsevak Sangh’s (RSS) student wing Akhil Bharatiya Vidyarthi Parishad (ABVP) and Durga Vahini, women’s wing of the Vishwa Hindu Parishad (VHP). Sadhvi is facing trial in the 2008 Malegaon blast case. 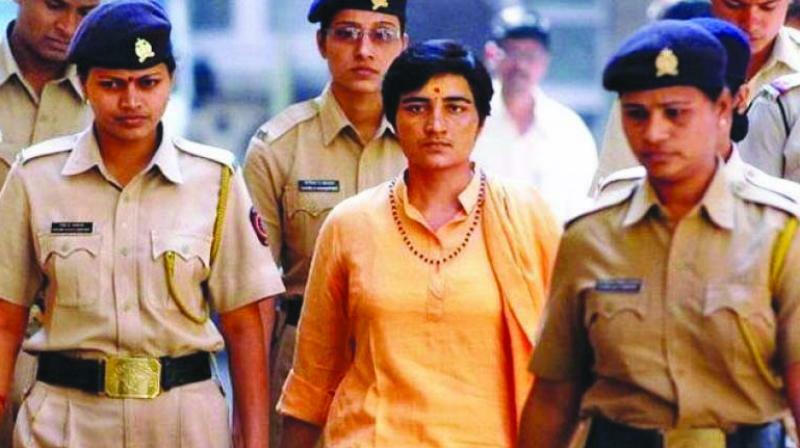 Saffron-clad Thakur (48), with her trademark short hair and sporting a rudraksh mala, became the face of right wing extremism after being arrested by the Maharashtra Anti-Terrorism Squad (ATS) in the 2008 Malegaon blast case. Arrested in the 2008 Malegaon blast case, Sadhvi Pragya was given a clean chit by the National Investigation Agency (NIA), but the trial court refused to discharge her from the case. She was granted bail by the Bombay High Court in 2017. Six people were killed and over 100 injured when a bomb went off near a mosque in Malegaon in north Maharashtra, on September 29, 2008. According to the prosecution, it was the handiwork of a Hindu extremist group. The court dropped the charges under the Maharashtra Control of Organised Crime Act (MCOCA) against her, and she is now being tried under the Unlawful Activities Prevention Act. In view of Sadhvi Pragya Singh Thakur’s image as an RSS-basher and the city’s 4.5 lakh Muslim voters (out of the total 18 lakh-plus voters), the BJP decided to field a hardline Hindutva leader against the Congress leader, party sources said. Last month, when her name started doing rounds as a probable BJP candidate, Sadhvi Pragya told PTI, “I am ready to take on Digvijay Singh if ‘sanghatan’ (organisation) asks me to do so,” she had said, calling the former Madhya Pradesh chief minister an “anti-Hindu leader who called Hindus terrorists”.